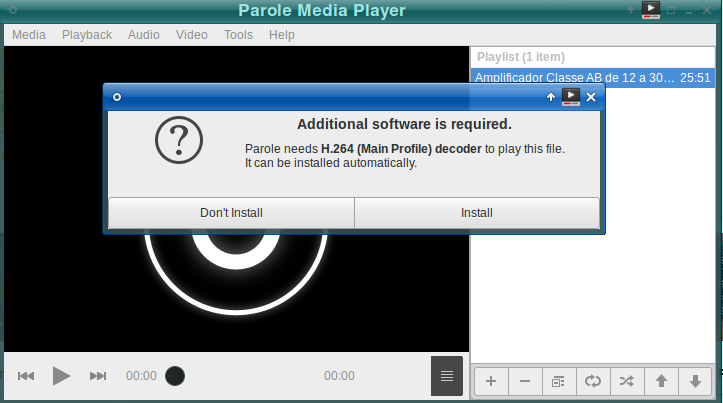 "Required plugin could not be found"
"Parole Media Player requires to install plugins to play media files of the following type: H.264 (Main Profile) decoder"
Browse other questions tagged xubuntu video codecs mp4 or ask your own question. How can I play video file with .vmw extension? How to install plugins to play media files of the following type : application/x-shockwave-flash decoder? how to view video from flash drive?